Arizona utility Tucson Electric Power (TEP) said this week that it will buy solar energy at a historically low price from a new local system large enough to power 21,000 homes. The 100-MW solar array and an accompanying 30-MW energy storage system are expected to be in service by the end of 2019. 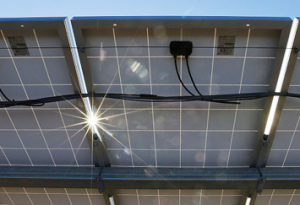 TEP said that, excluding the cost of storage, it will buy the system’s output for 20 years for less than $0.03/kWh — less than half as much as it agreed to pay under similar contracts in recent years.